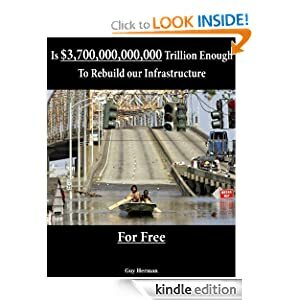 Start reading Is $3,700,000,000,000 Enough To rebuild Infrastructure fo… on your Kindle in under a minute. Don’t have a Kindle? Get your Kindle here. Read books on your computer or other mobile devices with ourFREE Kindle Reading Apps. Don’t have a Kindle? Get your Kindle here.